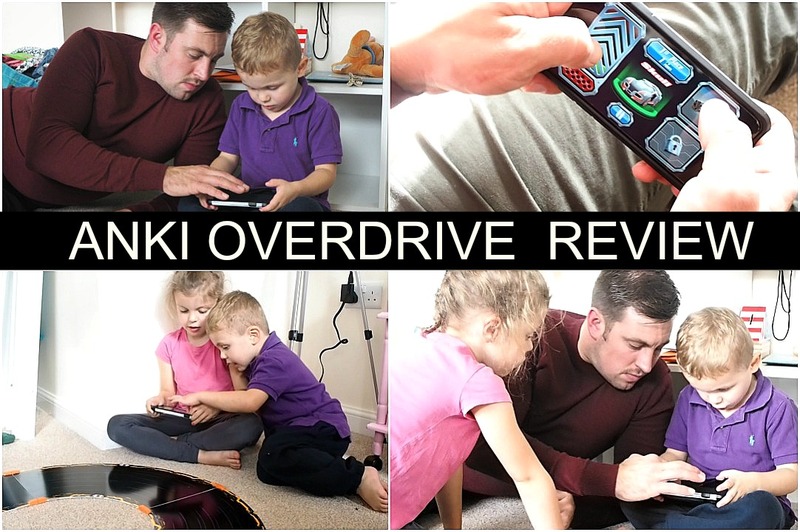 We were very kindly sent the new Anki Overdrive game to put to the test and see what we thought as a family. 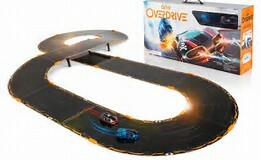 If you haven't heard of Anki Overdrive is an intelligent robot system. The cars are self aware robots and are controlled by artificial intelligence. Whatever track you build they will learn! 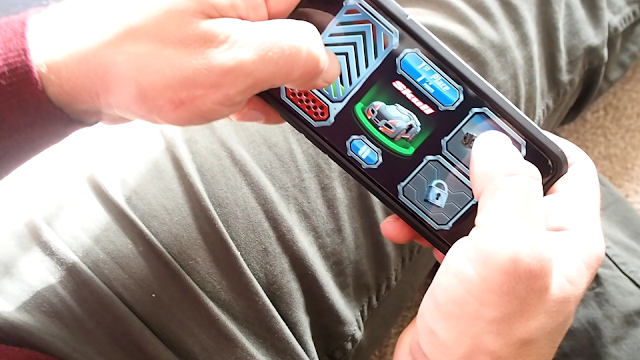 The game is controlled using an app which you can download on your phone or tablet. The better you play the better they become and the more levels you unlock. You can battle against the computer or battle against each other! I would describe it as the futuristic scalextric. Both myself and my husband have fond memories of building tracks and playing cars as children with our parents and siblings, so it was really good fun to test the game out with our children. The game is advertised for 8+ however my children are 3 and 6 and once the game was set up and the apps downloaded, with a little guidance they had a great time and really got involved with playing. My son in particular loved racing the cars with his dad and cheering on his sisters car when she was racing. It was so easy to put together that even the most technically challenged person could work it. Which is very handy when you have excited children (and husband) who cant wait to play. The track is magnetic so really easy to clip together and change setups and the app just takes minutes to download and setup. If you have a child or partner that loves racing cars or car games, then this is the game for them! Retailing at £149.99 for the starter kit I think this is great value for money and would be a fantastic toy to be found under the tree this Christmas. Its a game for the young and the young at heart. I think my husband has enjoyed this game the most and its something he can do with our children and have fun creating new tracks to race on. There is so much to this game and more packs and bundles you can purchase to enhance your game playing experience. A great game for all the family and an ideal Christmas present this year. We have loved reviewing the Anki Overdrive game. * I was gifted this product in exchange for a review. All thoughts and opinions are my own.